Here are five trades that the San Diego Padres should consider making, as this 2018 season is not going to be a productive one. The team must build toward the future, and if that means trading a few veterans for prospects, then so be it. The 2018 season has been full of inconsistencies for the San Diego Padres. That was to be expected, as the team has several young players learning the game of baseball. With this youth, comes a certain amount of frustration. Sometimes the player will perform well, while other times you are left scratching your head. 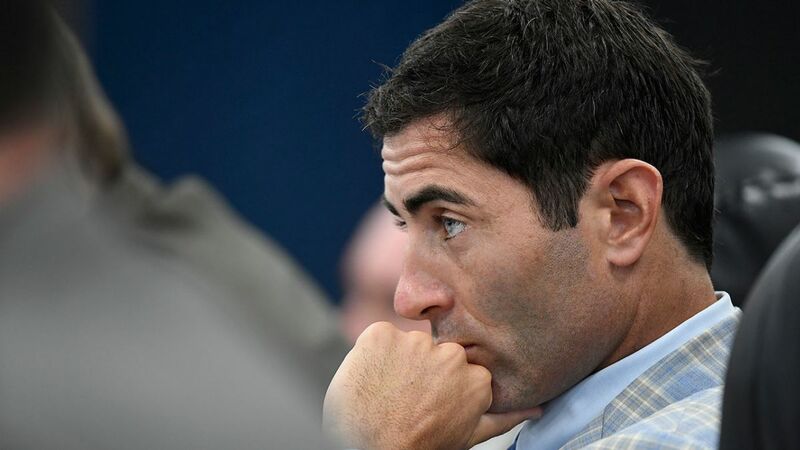 The Padres are currently in evaluation mode for the future. As they should be. The staff is gauging the value and determination in the young players that are just hitting the major leagues. At this point, adding new talent to this pool will only force the cream to the crop to rise. The more prospects that battle for playing time, the quicker players usually figure it out. The Atlanta Braves are currently reaping the benefits of their advanced approach to prospect development. At this point, the Padres have several veterans that could be enticing for a playoff-contending team. The team has names like Brad Hand, Kirby Yates, and Craig Stammen in the bullpen, who could be vital for a championship-caliber team. Tyson Ross may have some value for a team looking for a veteran at the end of the rotation and Freddy Galvis is a nice option for a team in search of middle infield help. The Padres have the veterans to get a deal done, but they are also in the position to possibly move young major league-caliber players if the deal is right. Hunter Renfroe, Travis Jankowski, Luis Perdomo, Carlos Asuaje, and Cory Spangenberg are arguably in their prime years, but could also be dealt in the coming months. Then there is the stacked farm system that could be utilized in the correct trade. 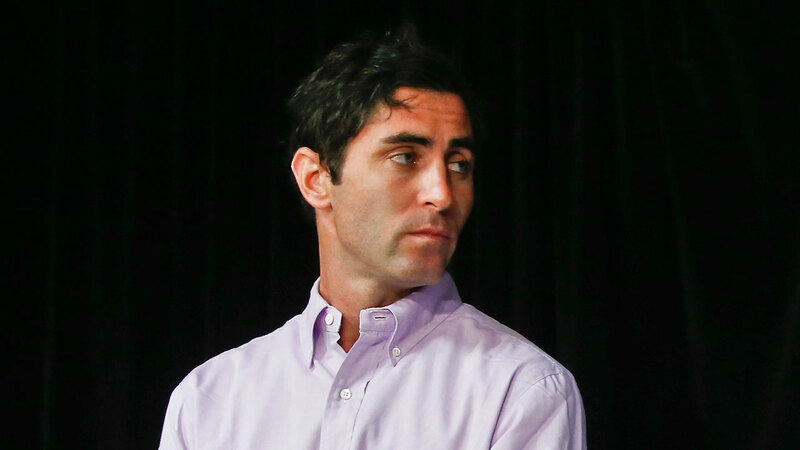 The first of my five proposed deals has the Padres moving youth for a veteran pitcher, but the upside of the arm is something the Padres could utilize in their rotation. Check out the proposed offers I make here. Don’t beat me up too badly. In my eyes, they make sense for both teams, and that is what making a successful trade is all about. The Rays are trying to build a contender in a very tough AL East. Archer is one of the best young pitchers in the game, signed to a very friendly team contract (roughly $34 million for the next four years) and there rumors the team might make him available. Archer’s numbers are solid, but he is not a dominating ace. He could be in time, but there is still some fine-tuning that needs to be done with his approach and demeanor. Darren Balsley, and getting away from the tough lineups within the AL East division, might help in that regard. At 29, Archer has a career record of 53-65 with a 3.71 ERA and 1.223 WHIP. He is 2-2 this season with a 5.32 ERA in 45 inning pitched. Archer has logged 200-plus innings in the last three seasons and should have no problem doing it again this year. The Padres would have to make a serious offer to attain Archer. The Rays could covet Hunter Renfroe as an everyday player. He would give them “thump” in the middle of their order and is under team control through the 2023 season. Replacing Archer with three young arms would also entice the Rays. Perdomo is major league-ready now. Avila will be in less than two seasons and Thompson shortly thereafter. That trio of pitchers is certainly a decent offer, as Thompson and Avila are the #24 and #25 ranked prospects (according to MLB pipeline) in the Padres’ system, and Perdomo has over a year of major league service time despite his young age. With that, the Padres would get a young player in the deal and this gives Preller a chance to pluck a diamond in the rough. A 17 or 18-year-old DSL or AZL player that is undervalued would arguably get this deal done. This is a hefty price tag for Archer, but Renfroe is surrounded by talent in the Padre outfield and the team can certainly deal prospects for a sure thing like Archer as they begin to transition into a winning team. The Braves are making a surprise run in the NL East and could use some relief help. With one of the deepest farm systems in the game, the Braves could trade a few for a specific need. If the team feels that this 2018 run is a viable one, than expect the team to unload some of their highly-touted youngsters for some help in certain areas of the team. The Padres should have some interest in Austin Riley. The third baseman is the #80 overall prospect in all of MLB and the Braves #8 prospect. He is regarded as a serious prospect and would require a decent return. The Braves would not be inclined to blow up their process for a short-term investment. Riley is 21 and has big-time power. The right-handed hitter was drafted in 2015 (41st overall) out of high school and has great size. At 6-foot-3 and 220 lbs, he draws comparisons to former major leaguer Troy Glaus. He will hit with power and plays an adequate defense at third as well. Currently, Riley is in Triple-A after starting the year hot in Mississippi (Double-A), where he put up a .333/.394/.677 batting line in 99 games. Would Kirby Yates and Craig Stammen be enough to pluck the talented third baseman from Atlanta? That would depend on the intentions of the Braves in 2018. Dealing a prospect of this caliber is tough, but can be beneficial if you move prospects for pieces that are crucial to success now. In reality, these two relievers might not be enough to get a deal done. The Braves could ask for Brad Hand or they could require prospects in return for Riley. Packaging younger talent with Stammen or Yates could be beneficial for the Padres, but that all depends on who the Braves would require. Austin Riley is no slouch and the Braves would certainly not be happy to part with him in a deal. 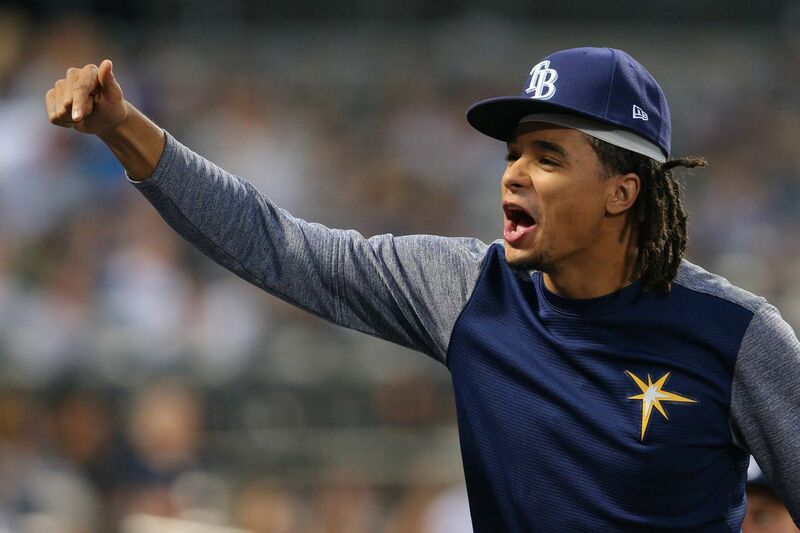 Chris Archer is 30 in September, not young by baseball standards. Solid article! I agree with some of the other comments. I like the idea of trading for archer but I would think we’d need to add higher rated prospects, probably naylor but I’m ready to deal away renfroe at this point. I like#2 but feel like the Braves will want to hold onto him unless they think they can sign Donaldson this offseason. 5 makes sense too, I’ve always been a Gordon fan and would look forward to the potential stability he would bring to our lineup. He’s close to being major league ready and could slide into being our everyday shortstop come 2019. As for those saying we already have tatis, he’s still 19 years old and isn’t a sure thing. Even if tatis pans out it’s a good problem to have if both are playing well! Good read. But why number 5? The Padres already have 5 solid SS prospects. Seems like an unnecessary need. I wouldn’t trade with Boston for the simple reason none of their top prospects are worth a damn. Groome and Chavis are the best they’ve got, former out with Tommy John and latter is PED user. I’d be happy to do #5. And I would also consider trading Hand to the Astros. I seriously doubt the Rays would part with Archer unless they get some top 10 prospects in return. Avila/Thompson aren’t even in our top 20, and both Renfroe and Perdomo have been problematic at the major league level. This would a steal for the Padres. 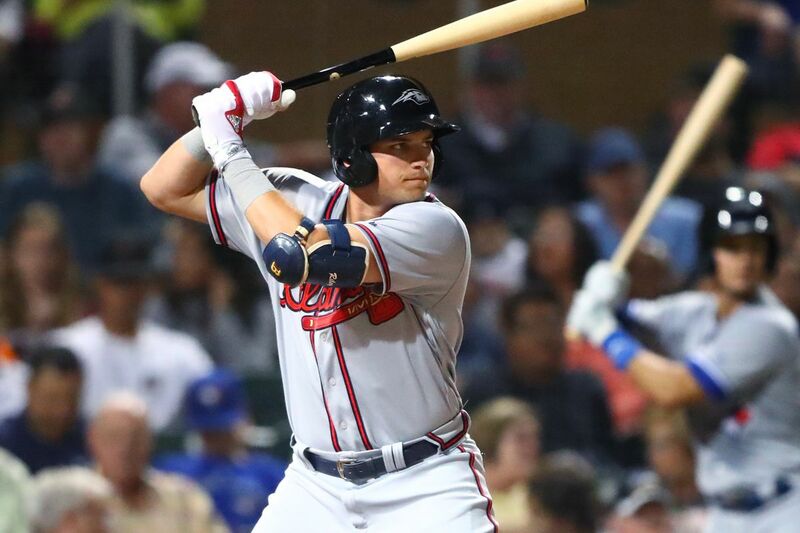 Austin Riley is an exciting top 100 prospect and the Braves will want a LOT more than Stammen and Yates. Maybe Hand and Potts could get the job done. Everybody is saying how horrible of a start our season is and this and that but what I don’t hear talked about is one of the mlbs toughest schedules to start the season. I think we should chalk up this season yet considering we haven’t had wil Myers or hunter renfro and believe a pitcher like Archer is all we are missing! 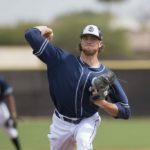 With jJordan Lyes surprisingly pitching great he deserves a spot in the rotation and I want t see what perdomo learned in the minors….Don’t worry padres fan our schudule WILL get easier! I’d love to have Archer too! But I would insert Cordero instead of Renfroe in that trade. I think Hunter has a lot of upside and I want the Pads to keep him. Not saying Cordero doesn’t have upside either but we already know there are TOO MANY outfielders at the moment. What about trading for the catcher, Realmuto of the Marlins? Besides Hedges, what would it take to make that deal? Why doesn’t anyone talk about the hitting coach in El Paso, Morgan Burkhart? See what he did for Travis? I can think of a couple of players on the roster now who can use his help! I say yes to number 1. Not looking to do 2 to 5 however. Nice writing however.